Refreshing cucumber bites are just perfect for summer meals. 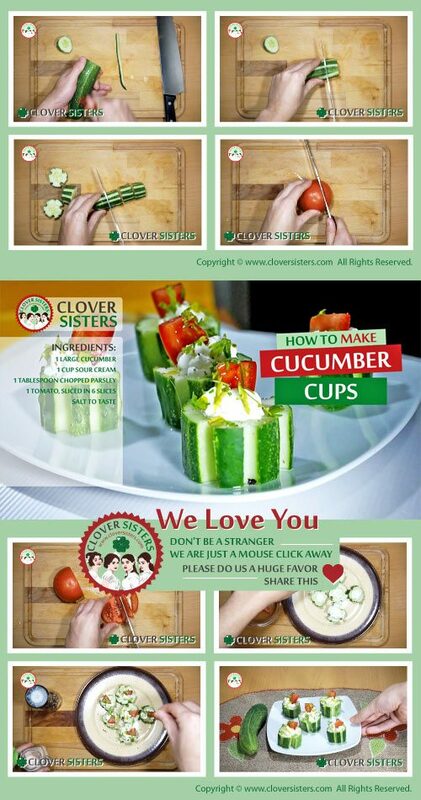 Cucumber cups are colorful and full of vitamins and they will make you smile. Mix sour cream with salt and parsley. 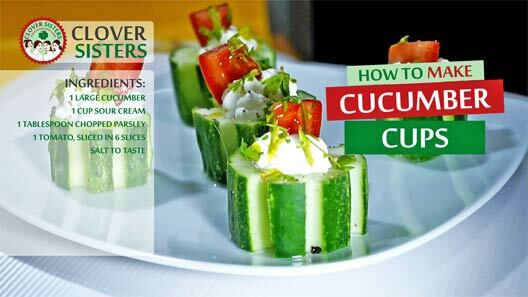 Carefully, using teaspoon, remove some inside from the middle of cucumber pieces. Fill it and top of each piece with sour cream and one tomato slice.